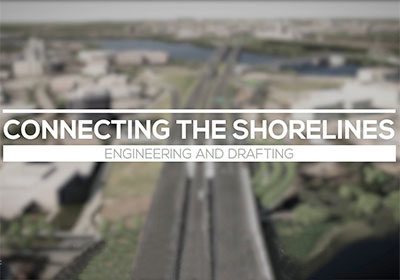 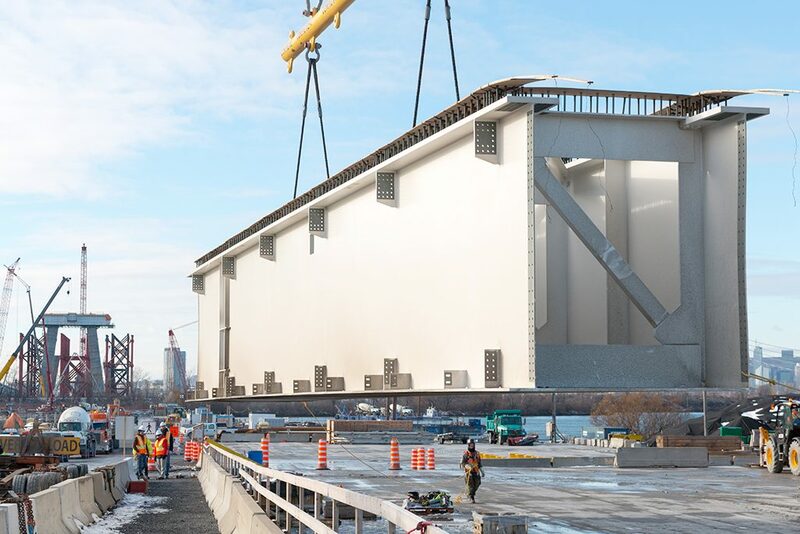 Discover the engineering and drafting challenges for the fabrication of the new Champlain Bridge components. 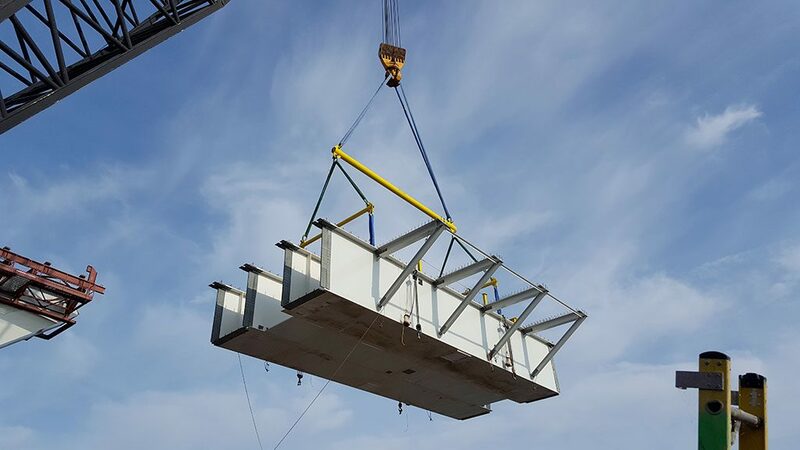 Learn how the Lean culture has greatly contributed to the collaborative improvement of our procedures. 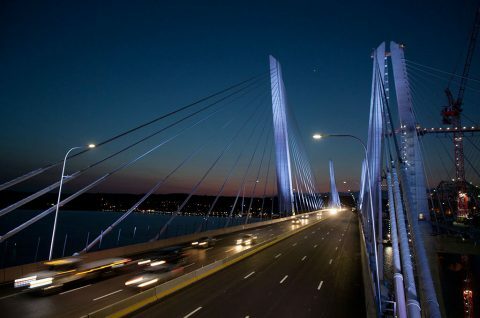 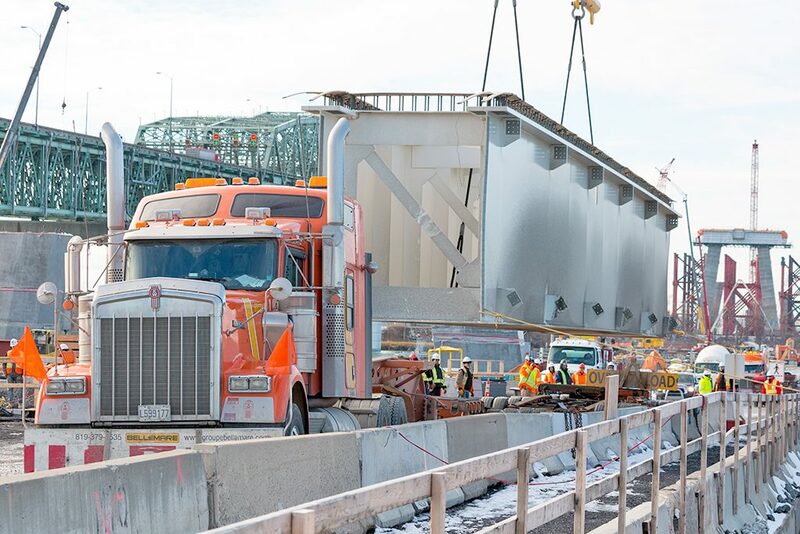 Find out how the new Champlain Bridge project is a challenge for the fabrication and quality control teams. 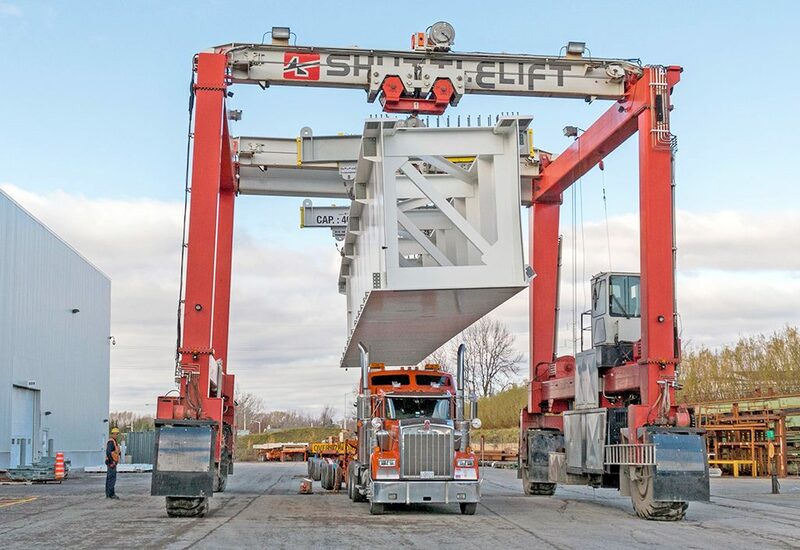 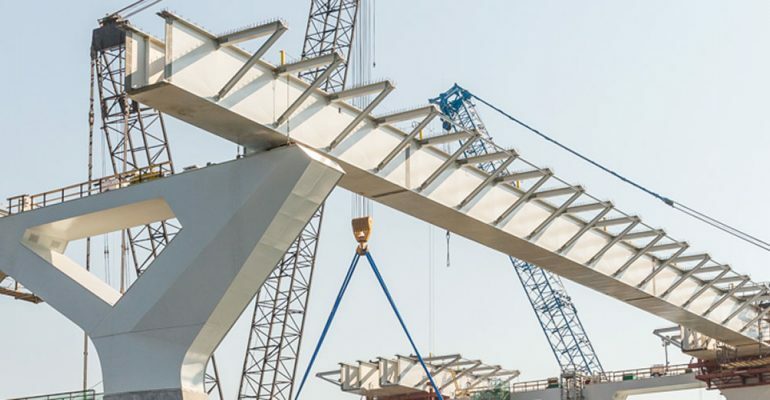 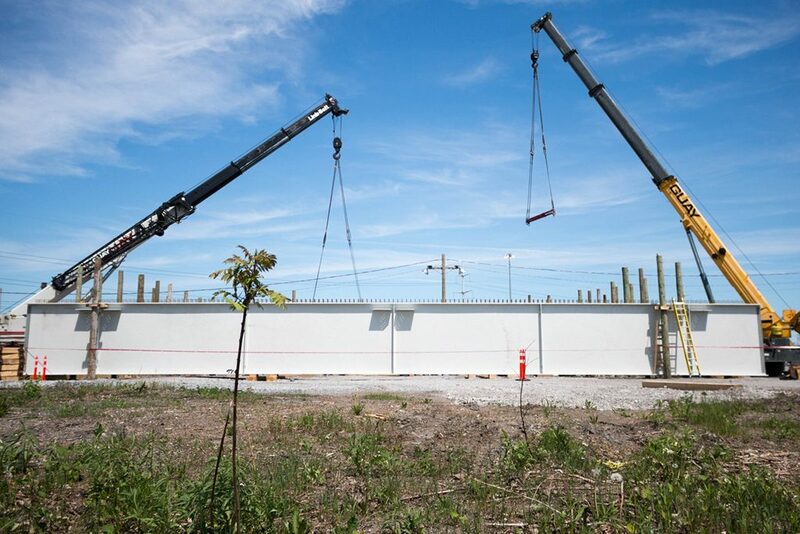 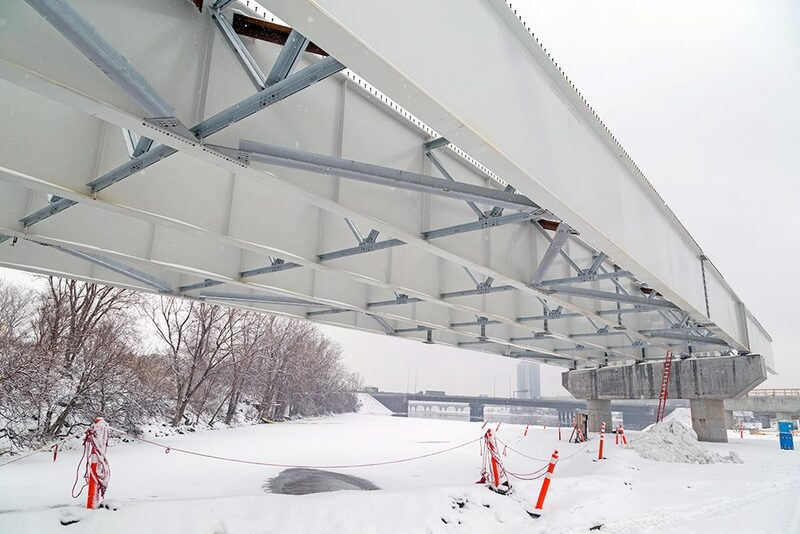 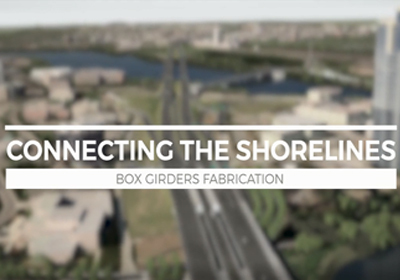 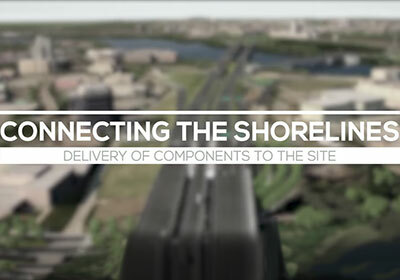 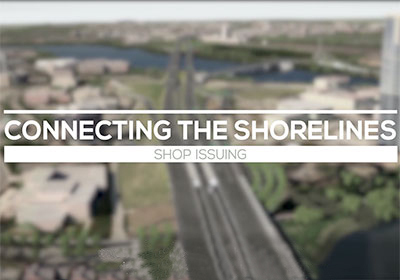 Find Out How the new Champlain Bridge Box Girders Delivery is a Major Logistical Challenge. 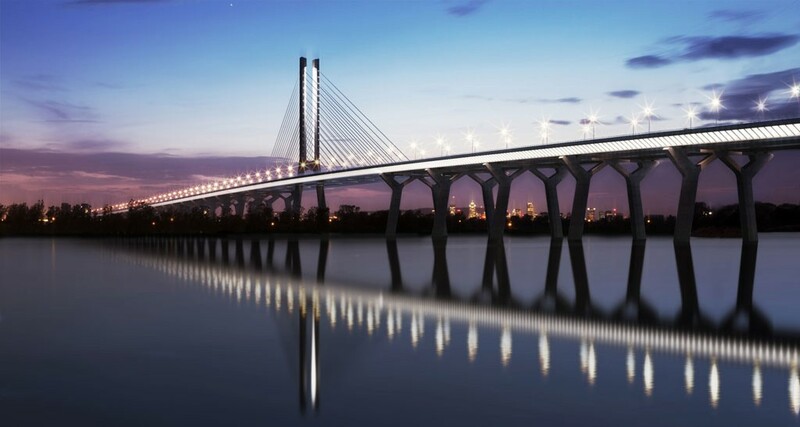 2.1-mile (3.4 km) highway bridge (approaches: 1.7 miles (2.8 km)) and the Île-des-Soeurs Bridge, a 7 span bridge with a total length of 1,600 ft. (490 m). 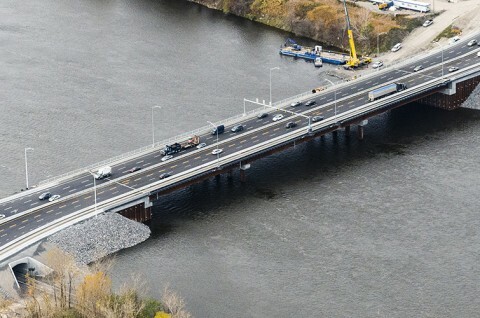 Signature on the St. Lawrence Construction G.P. 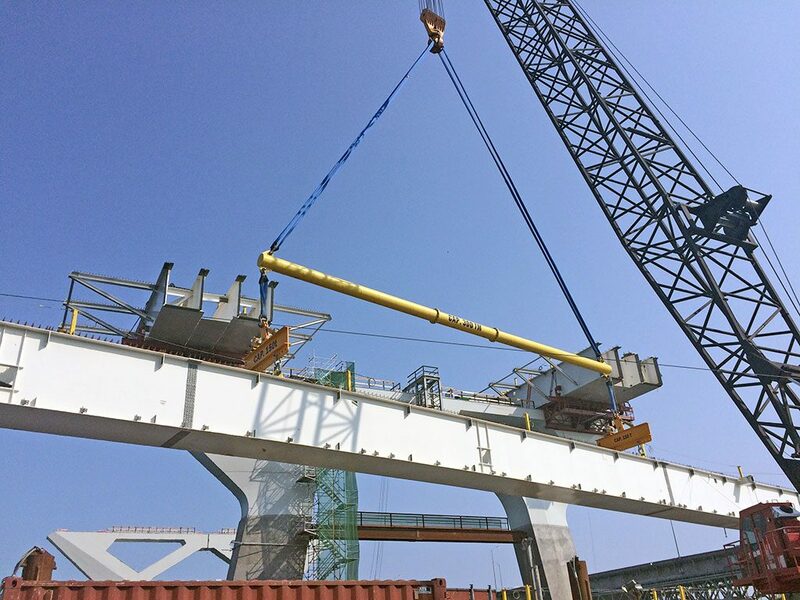 Construction of all 35 spans for the approaches to the new Champlain Bridge over the Saint Lawrence River between Île-des-Soeurs and Brossard, Quebec, and construction of the Île-des-Soeurs Bridge. 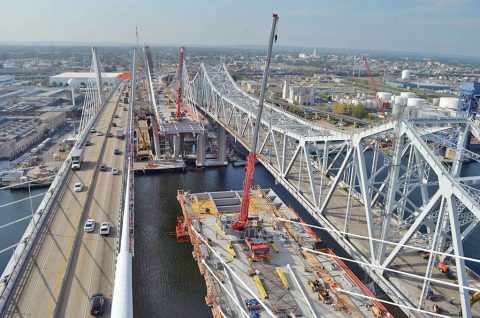 The bridge approaches comprise three separate decks: a middle deck reserved for public transit lanes that’s made of a single box girder and two other decks, one for each travel direction, that are each made of two box girders. 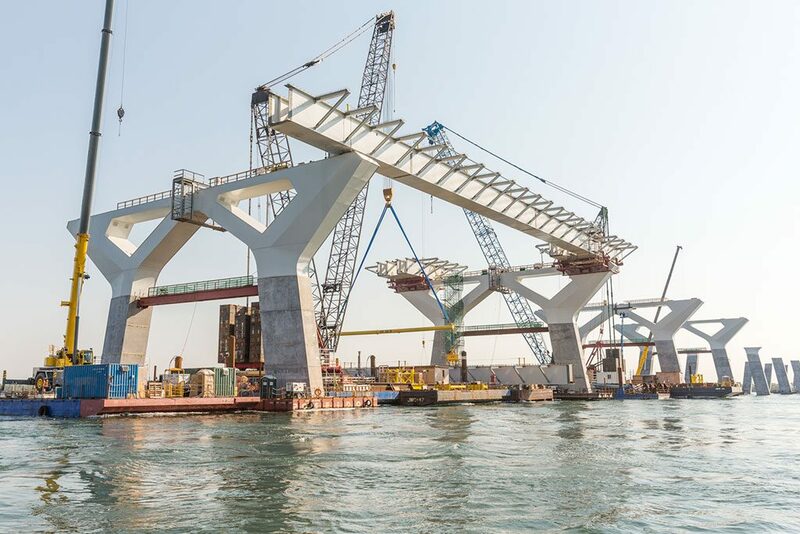 Cover plates connecting the two girders and peripheral supporting elements complete these deck structures.